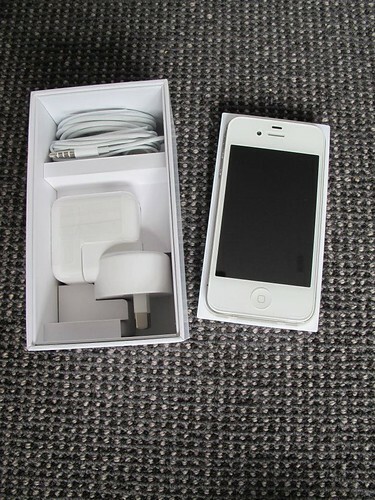 Unless you have been living under the rock, you should have know that by now Apple has released its newest electrical device known as iPhone 4S. It was just released on the 11th of November 2011 in New Zealand. I just found out around 4.30pm and when I went to the shop, they have sold out all white. 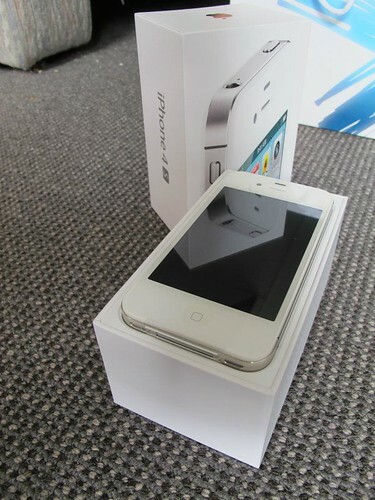 I wanted a white iPhone. So I decided to walk to Telecom the next morning to try my luck to see if I could get one. Boyfriend accompanied me in the morning to Telecom and luckily they still have stock! And they sell cheaper compared to Vodafone. 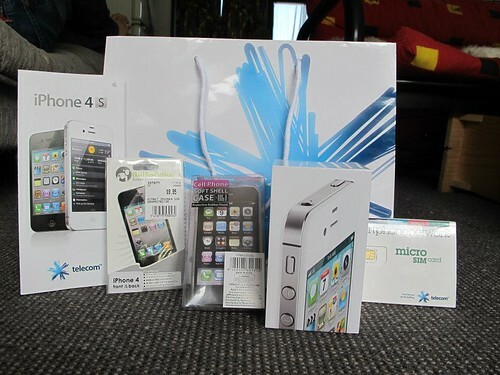 Taaaa-daaaa my whole set of iPhone 4S. Telecom was so generous. They gave me free SIM Card with $10.00 inside too. 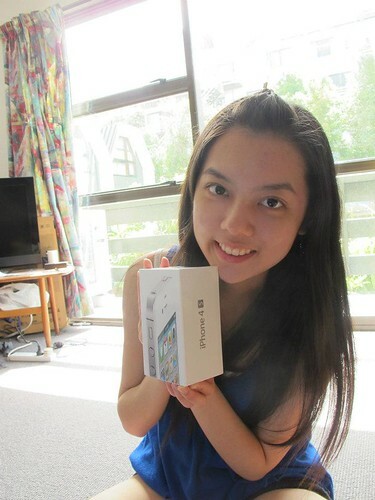 Lucky for me because my 2 degree phone has no more credit and I didn't wanna reload before leaving back to Malaysia. After setting up, it's ready to use!! 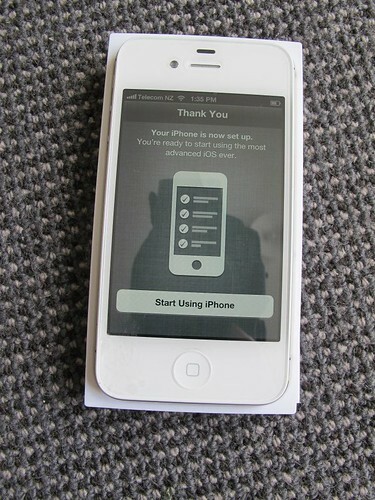 I love my iPhone 4S. The camera is awesome!! And I keep abusing the Siri. HAHA. "By the way it's 2.16pm now"
"I hope you don't say it to other mobile devices"
Wow, I thought you just got Iphone 4 bfore you go to NZ? So niceeee! wondering how much this cost in new zealand :) its a great mighty phone! 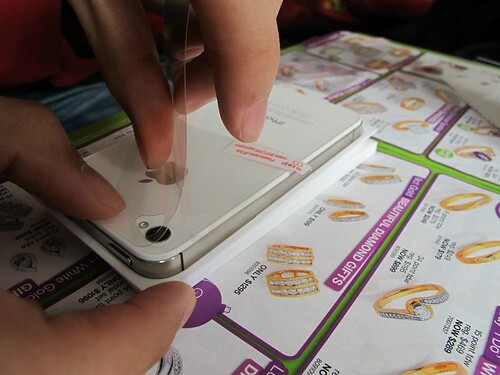 iPhone 4s, so enviable. it's so pretty.